MASH is a famous name among nail art lovers. I have reviewed their Stamping plates HERE. 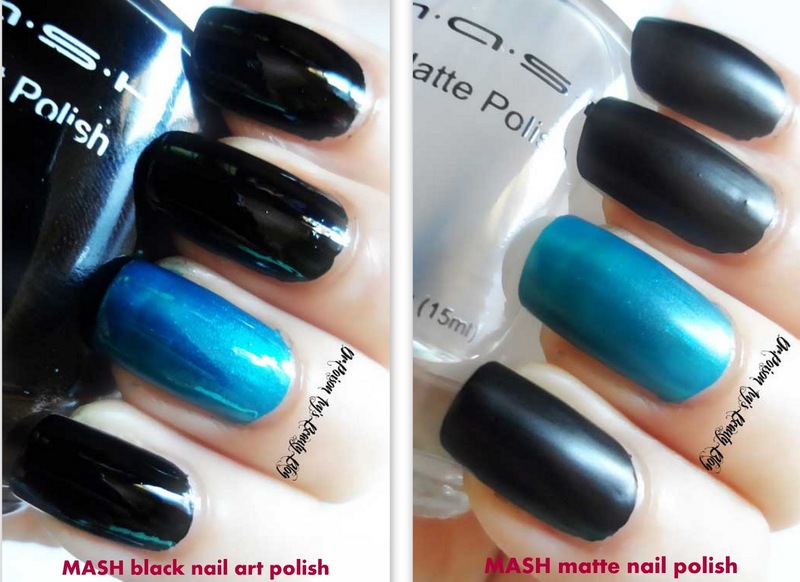 Today i will be reviewing their Nail art Polish (Black) and Matte top coat. giving you the perfect design your mani deserves. Crystal clear and perfectly detailed stamped nails start here! The Black polish is very pigmented. There's no streaking or clumping. And it's much more affordable compared to Konad stamping polish. It dries quickly and has very good sheen. Besides using it for stamping,it can also be used as a normal polish . 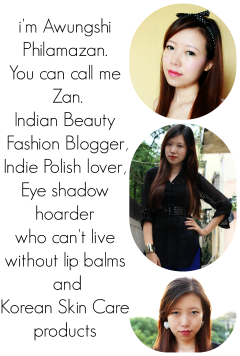 It can turn any nail polish shade into a sophisticated matte look. 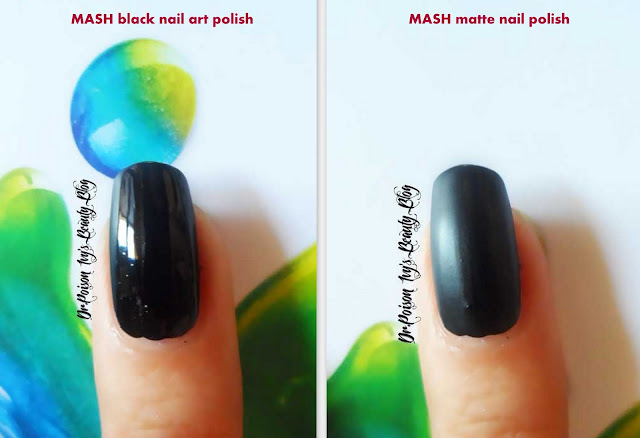 MASH Matte Top Coat is luster-free,Unique, durable and long lasting. but don't want to double your nail polish budget and collection. This matte top coat can be applied to any polish turning it in to a flat finish. Just one coat is enough to acheive the matte effect. I did not experience any clumps or streak. The matte top coats are becoming a rage, but I still don't get the idea. :P Your nails look like the nail polish testers!! Those oval cute ones on which you put a polish to check out the color! hehe awwww..... that's the best compliment i've ever received. as for me, i think i prefer matte over the normal ones. They look so elegant . oh dear :) you can check the results on my recent posts. An engagement ring is more than just a piece of sparkling jewelry.